The Tekno EB410 Aluminum Center Diff Mount is designed to help prevent stripped spur gears that were due to the rear plastic diff mount twisting under power. 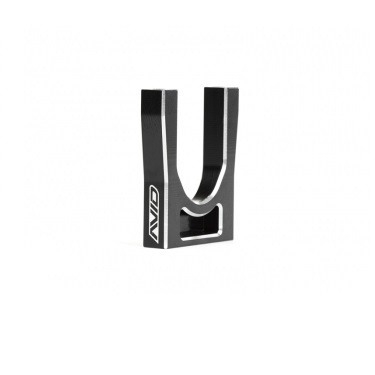 7075-T6 Aluminum, black anodized, silver chamfer edging, and the Avid logo laser etched. Designed for the Tekno EB410. Includes 1 aluminum center diff mount for the rear.